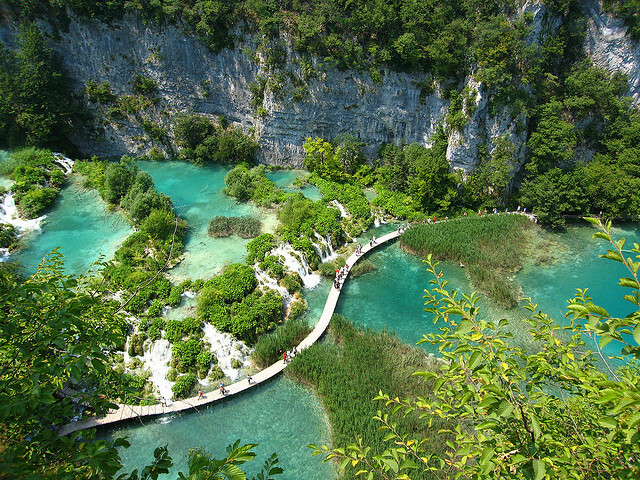 Situated amongst the karst rich highlands of Central Croatia, Plitvice Lakes National Park is home to a series of fairy tale ponds and waterfalls, all connected to each other in a manner that makes it a photographer’s best dream come true. These factors lead many to consider one of the best national parks in Europe, which is a designation that we would agree with. Once you have finished snapping a million pictures from above, make your way to the wooden boardwalks below, which wend their way between the lakes and the small waterfalls that connect the chain of sixteen lakes from north to south. Italy has many amazing natural sites, but few are as glorified as the limestone mountains contained within the confines of Belluno Dolomites National Park. Easily reached from hotspots such as Milan, Turin and Venice, this natural reserve contains amazing highlights that include the steep peaks of the Monti del Sole, lush green valleys that host charming villages, and numerous hiking and mountain biking trails that will feed your soul much needed inspiration. Cursing your humdrum life back at home? Coming here is a great way to free yourself from its chains, if only for a week or two. Located in the heart of Turkey, the one of a kind fairy chimneys found in Goreme National Park will enchant you from the second you lay eyes upon them. Sculpted by eons of water and wind erosion, these stacks of sedimentary rock have been used over the ages as churches, homes and have had entire underground cities carved into them, making it one of the easiest calls for the staff of UNESCO when it came to making this place a World Heritage Site. Don’t miss the chance to either go on a balloon ride at dawn, or to get up and photograph it – the sight of scores of brilliantly coloured lighter-than air craft in the sky at the same time shouldn’t be missed by anyone with a love for timeless vistas. One of the oldest national parks in Europe and straddling the mountains that form the boundary between Norway and Sweden, Sarek National Park is a great place to escape the development that defines much of the more southerly parts of the continent. Being a wilderness park, there is no park facilities for causal users, so all camping will be of the backcountry variety, and trail finding and river fording skills are essential.